The kind folks at HelloFresh UK have decided to treat their customers to a lovely new recipe box designed for busy home cooks. Namely, in addition to the Classic and Family boxes, the company now offers the Rapid Box that allows you to cook magnificent meals in just 20 minutes. We bring you all the most important details about this excellent new box, including information about ordering options, recipe quality, and of course, the prices. The Rapid Box allows you to choose whether you want to cook for 2 or 4 people. You can order 3 recipes of your choice. The selection of recipes includes 6 new meal ideas every week. If your schedule is particularly hectic, you can choose from 4 dishes that take only 20 minutes to make and when you are not so stretched for time, you can take into consideration the remaining 2 recipes that require an additional 10 to 25 minutes. The recipes are incredibly varied, wonderfully healthy, and surprisingly easy and quick. The prep time is reduced to a minimum and the cooking process takes only a couple of minutes. You can expect such rapid delights like Tostadas Rapidas, Beef Feijoada, Paprika Spiced Cod with Herbed Potatoes and Garlic Mayo, Seared Turkey Steak with Creamy Lentils and Sweet Potato, and Indonesian Inspired Curry with Courgette, Green Beans, and Star Anise Rice. The price of the Rapid Box depends on the number of servings per meal. If you are cooking for 2 people, you pay £5.83 per serving and if you want to get 4 servings per meal, you pay £4.92 per serving. That means that you can get 3 meals for 2 people for £34.99 or 3 meals for 4 people for $58.99. Shipping is always free. 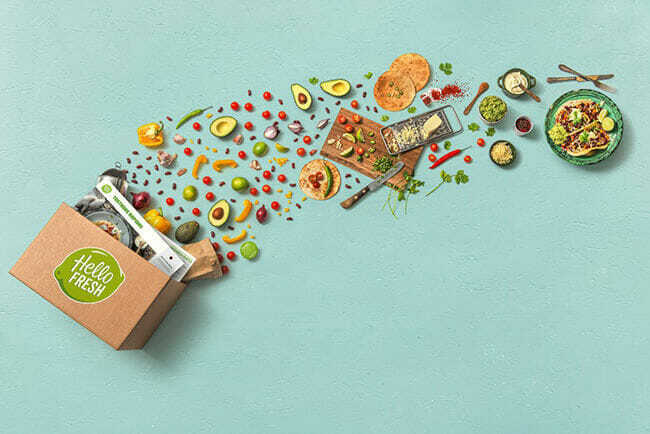 The Rapid Box is certainly a welcome addition to HelloFresh UK’s offer and we have no doubt that it will quickly find its way into the hearts and kitchens of home cooks around the kingdom. Nothing beats a scrumptious, soul-warming, home-cooked meal, especially if it is ready in just 20 minutes. 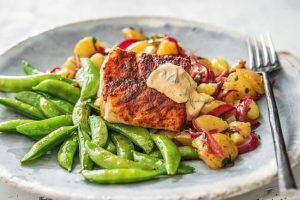 HelloFresh UK is a meal kit service designed to let home cooks feel like pro chefs, with all the ingredients picked out, measured, and delivered to them. Its selection of recipes includes well-loved classics and interesting versions of famous dishes and everything on its menu is quick and easy to make. Discover more details in this HelloFresh UK review.